A Drop in the Ocean is the network of a new generation of Brazilians connected, aware and engaged with social and environmental causes. Here there will be too small gesture that can not star in a major transformation. Enter the email address used during registration to request a new password. There is basic deforestation and Nutella deforestation. 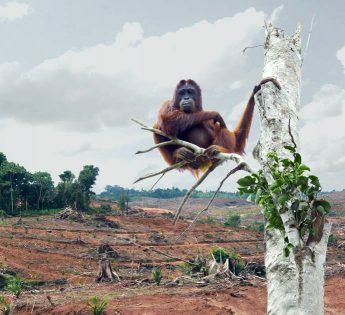 According to the NGO Rain Forest, they are destroying the natural habitat of our orangutan cousin to produce the famous delicacy and other foods. Palm oil extracted from the fruit of a palm tree, native to the Indonesian and Malaysian forests, is the ingredient responsible for its creaminess. And it has been explored by multinationals like Pepsico, Unilever and Nestlé with exaggerated gluttony. Rain Forest also denounces that child labor and slavery are involved in the business. To what end do we bury our rivers? To What End, São Francisco?